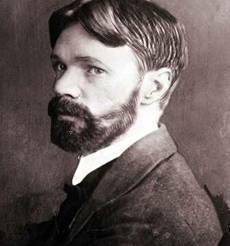 David Herbert Richards Lawrence (11 September 1885 – 2 March 1930) was an English authorand playwright as well as a poet. His poetry contains many themes but frequently centres on the dehumanising effects of modernity and industrialisation, believing that we need to break free of artificial restrictions and celebrate vitality, spontaneity, human sexuality and instinct. Lawrence felt all poems had to be personal sentiments and that spontaneity was vital for any work. In relation to the poem ‘Piano’ D.H. Lawrence’s early life is of clear interest. He was born on September 11, 1885, in Eastwood, Nottinghamshire, in England and he was the fourth child of a poverty stricken coal miner. His mother, a former schoolteacher, was greatly superior in education to her husband but was forced to marry him because her family had fallen on hard times. While the young Lawrence idolised his mother, he seems to have felt quite the contrary about his father: in a letter from 1910 to the poet Rachel Annand Taylor he later wrote that his parents’ married life "has been one carnal, bloody fight. I was born hating my father: as early as ever I can remember, I shivered with horror when he touched me. He was very bad before I was born." Lawrence felt a deep emotional bond towards his mother and as a result of her encouragement became interested in the arts. Although the ultimate demonstration of his love for his mother came in 1910 when, sick with Cancer, her helped her to die by giving her an overdose of sleeping medicine.